WHERE THE FRICK FRACK DIDDLY WACK IS THE LAST BOOK IN THIS SERIES? *looks up release date* 2017!? NO. NOW. Okay Paige, deep breaths, calm down. LOL, let’s face it, when am I ever calm? Never. So let’s talk about ACOMAF. The book everyone told me I should read, and the one that is going to be half of the central focus for my senior thesis this year (!!!! Let the nerves start now). It’s so easy (and extremely difficult) to compare ACOMAF to ACOTAR. I liked them both equally for very different reasons. ACOTAR was so easy to fly through since there was a lot going on at once and the world was completely new and I was obviously blinded and in love with Tamlin until Rhysand came along. And I, for some reason, thought that the ending of ACOTAR was much more exciting. It didn’t feel as rushed as ACOMAF did and there was a lot more build up. That being said, I did love the ending of ACOMAF (EVEN THOUGH IT DESTROYED MY SOUL). I mean it clearly made me want to rip off my own arm for the next novel so that’s always a good sign. I just think that the middle chunk of the book slogged way too much for me and that was what caused me to not love it quite as much as ACOTAR. I mean don’t get me wrong, I love me some angst, but maybe not quite that much? Oh, Feyre. You beautiful damaged girl. As my senior thesis is analyzing this series through a feminist/gender and women’s studies lens, I couldn’t help but see how much Feyre has changed and truly grown into her own person. She deserves a piece of cake and a hug or something. Give that girl a break. 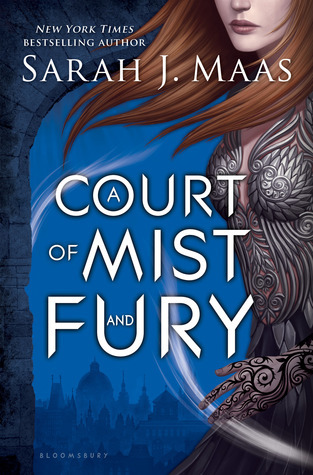 As per usual, I don’t want to blab on forever in this review since I’ll have 40 pages worth of that in my thesis, but ACOMAF was incredible and in some ways better than ACOTAR, but in other ways just as perfectly awesome on its own. Does it live up to the hype? Yes. And I don’t say that lightly since most of you know I have a hype phobia. Also, I still am on Team Lucien. I love that guy. Fight me. What do you think of this series? Are you ready for the third book? How #rekt did that ending leave you? I’ve already ranted and raved with you, haha, but even 10 hours later, and I’m still hurting and hungover from this book. I’m trying to write my review.. and its going to be a novel. Honestly, I think ACOMAF may be my favorite Maas novel. What’s new for July, why I’ve been MIA, and a giveaway!